It’s always interesting to see what sorts of “news” dominates the Twitter/Facebook/social media cycle. Of late, many transit types have been endlessly retweeting/facebooking/blathering about a “new” concept in transit supposedly debuted this week in China – the elevated bus! What’s that you say? 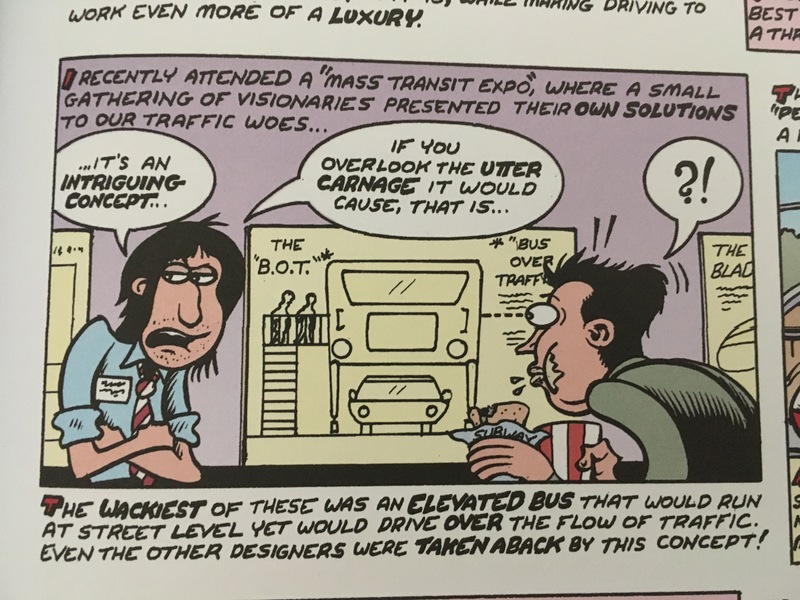 An elevated bus? What’s that? Aside from being the kind of project that would be responsible for the immediate deaths of thousands of NIMBYs in San Francisco at the thought of such a thing, it’s also one that isn’t very practical. Nor is it new – in fact this has been a staple of “futuristic” stuff usually found on 1970s covers of Omni or Popular Mechanics. China has shown an ability to build all sorts of projects, and I suppose if they’d built it, we’d perhaps find out just what kind of utter carnage such a system would or would not have. Either way, go read Peter’s book, it’s really good. This entry was posted in News & Politics and tagged candylandbullshit, china, fancifulnotions, peterbagge, superbus, transit, wtf. Bookmark the permalink.